A broad foundation course for pet shop staff, breeders or animal lovers to understand the options and match the best pet for the situation, then effectively care for that animal. A course for Pet Owners, People Working with Pets; or anyone with a passion for domesticated animals. Like our human family members, pets don't come with an instruction book. Completing this course will give you a sound introduction to caring for a wide variety of different pets, whether they have legs or wings, scales or fins. The ACS pet care course provides an outstanding opportunity for you to learn about your pets and how to meet their many and various needs. A sound foundation for the care of a wide variety of different pets is provided, giving you the tools to give your pets the best care possible. This course has been developed by highly qualified and experienced professionals including Veterinary Surgeons, a former wildlife park manager, and university lecturers, who are available to support your learning and discuss any queries you may have. Healthy pets live longer, and cost less to keep. Not all animals are the same to begin with either. 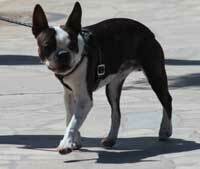 Some breeds of dog for instance, may be more susceptible to health problems than others. Some pets may be more suited to your environment than others, and some are easier to care for than others. Good hygiene is critical. with all types of pets. Maintaining hygiene involves such things as maintaining food and water quality, cleaning out wastes regularly, and controlling pests and diseases. Regular preventative measures for controlling pests and diseases are vital. 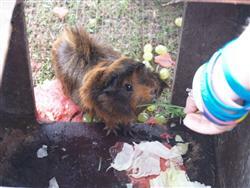 Examples include spraying cages/shelters, regular worming treatments, vaccinations, flea and tick treatments, regular inspections for signs of problems in the animals yard as well as on the animal itself, regular grooming and dental care, and quarantining animals that are suspected or known to have pest or disease problems can significantly reduce the likelihood of problems occurring, and minimise their spread when they do occur. Regular veterinary check ups are important, to detect any conditions that may otherwise go unnoticed. It is important that animals receive adequate opportunity for exercise to avoid them becoming overweight and unhealthy. Many smaller pets thrive on human contact and it is necessary to spend time interacting with them, playing, wrestling or during grooming. When you complete this course you should have a much better foundation for understanding how to care for a whole range of different pets. For some people, this will help you look after your own animals better; but for others, it may be the starting point for a business or career working with companion animals. This course may provide an advantage to those wishing to work in a pet shop, pet sitting or in a home care capacity for companion animals. This is a good opportunity for people who like working with animals, but who also have good people skills. 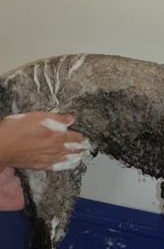 The work would not only involve educating customers on how to look after their pets. You may also influence their choice of purchase but may be even advising a customer with regard to the pet which is most suited to their situation. It would be important that you are competent handling a whole range of species from small rodents to cage birds, snakes and other reptiles as demand for these pets increases. Want to provide pets with the best care possible? A good starting point is to get some advice from a professional who knows the industry. We have a free course counselling service which will put you in touch with just such a person; to help you understand your choices, your options and the industry; and to help make a choice about what your next step should be. Contact us today to take advantage of this free service. Read our article- 8 things to consider when getting a new pet. WOULD YOU LIKE TO DISCUSS THIS COURSE WITH A TUTOR?